Blog Is eXp Realty Profitable? eXp Realty emerged in 2009 with only a handful of agents and the world first cloud-based brokerage. Today, they’ve grown to over 16,000 agents and a valuation of hundreds of millions, and they’re still climbing. It’s an impressive show of growth over the past decade, with much of their expansion occurring in just the last three or four years. Their virtual office has truly changed what a real estate career can be. The revenue-sharing model has forever redefined what passive income looks like. 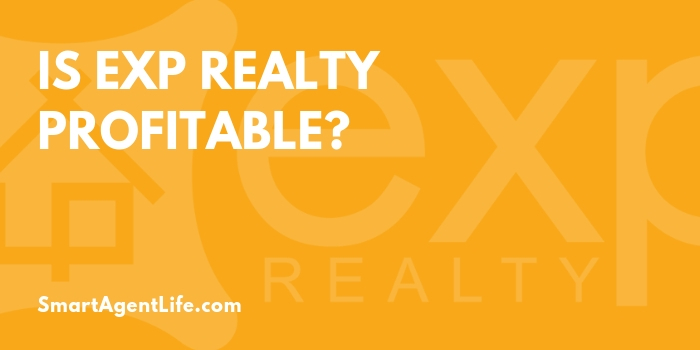 But still, the question arises: Can eXp Realty be profitable for me? eXp Realty’s business model offers three ways for agents to generate revenue: standard real estate sales, revenue sharing, and shareholder earnings. As an agent, your core job is selling properties. eXp Realty’s platform is the central hub for your listings, networking, lead generation, collaboration, and all other aspects of managing your sales. When you make a sale, you receive your normal commission just as you would as a traditional brokerage. eXp Realty has shifted the entire real estate industry with its revenue sharing program, which allows agents to generate passive income every year. When you sponsor a new agent, you’ll receive revenue on their first transaction. 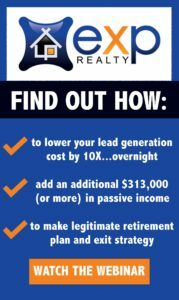 You also receive residual income up to $2,800 for each productive agent on your team, as well as revenue from successful agents they’ve brought to your team. The best part is there is no limit as to how many agents can join your team, and you receive revenue from each of them. The more productive they are, the more you stand to earn each year – with no extra selling from you! This revenue comes directly from eXp Realty, not the agent’s commission. This way, everyone remains profitable and empowered to sell more. As an agent with eXp Realty, you earn company shares on your very first sale and additional shares when you achieve goals. When you help the company become successful, you receive more money as a result. Can You Achieve Financial Prosperity with eXp Realty? In our experience, input equals output. Despite their phenomenal success as the first virtual real estate brokerage, sales don’t happen by themselves. Rather, you’ve got to put in time and effort, just as you would with any brokerage if you want to reap the financial rewards. That said, their model gives you everything you need to become a real estate powerhouse. Head to their Investor Relations section to view their financial data and gain a better idea of how they can help your real estate career flourish.